After several days of speculation, Minnesota representative Keith Ellison (D) has announced his candidacy for chair of the Democratic National Committee. "Democrats win when we harness the power of everyday people and fight for the issues they care about. It is not enough for Democrats to ask for voters' support every two years. We must be with them through every lost paycheck, every tuition hike, and every time they are the victim of a hate crime. ... We must begin the rebuilding process now," he said in a statement. Ellison enters the race for DNC chair already having the backing of several prominent Democrats. Sen. Chuck Schumer, outgoing Minority Leader Harry Reid, and Sen. Bernie Sanders endorsed Ellison before he even made it official. Sen. Chris Murphy and Sen. Amy Klobuchar were also endorsers he made public during the announcement of his candidacy. An early supporter of socialist Bernie Sanders' presidential run, Ellison would be the progressive choice for Democrats as he runs against a handful of others vying for the Party’s top spot. 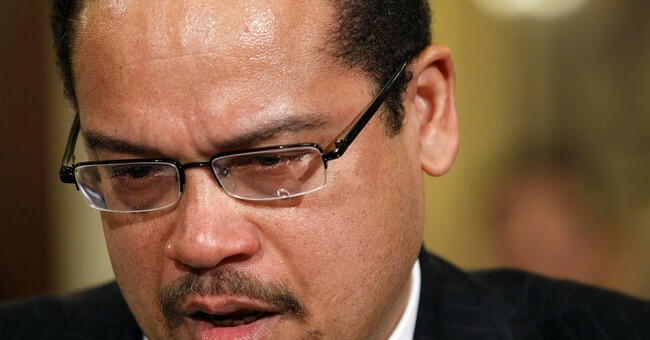 Ellison would also make history as the first Muslim leader of a national party. He is already Congress’ first Muslim representative – winning office in 2006. He will compete against former DNC chair Howard Dean and possibly former Maryland Gov. Martin O’Malley.